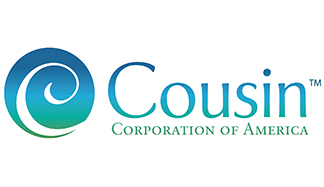 Cousin Corporation of America has been family-owned for over 40 years. It all began in 1970 as Enterprise Art, a retail craft store in Largo, Florida. With the success of arts and crafts, floral, and home decor products a wholesale division was created and Cousin was born. We have evolved and grown with the ever changing industry into a full-service fashion company with three divisions: Cousin D.I.Y!, Laura Janelle and CosmoStyle by Cosmopolitan. From publications to paid trend resources, fashion trade shows to the runways, we are constantly gathering and analyzing data from around the world to make sure we are "on trend" all the time. We go from concept to design to packaging; all in house. We feel extremely fortunate to have an amazing group of people on our team. Their energy and passion for fashion is contagious! Jewelry Making Supplies for the DIY Market. Cousin D.I.Y! is the jewelry making supplies and accessories division of Cousin Corporation of America. We provide high-quality licensed and non-licensed jewelry making supplies for the beginner and the professional jewelry maker. Our products can be found in major retailers including Walmart, Walmart Canada, Michaels, JoAnn, Hobby Lobby, A.C. Moore, and Meijer along with countless independent craft retailers nationwide. 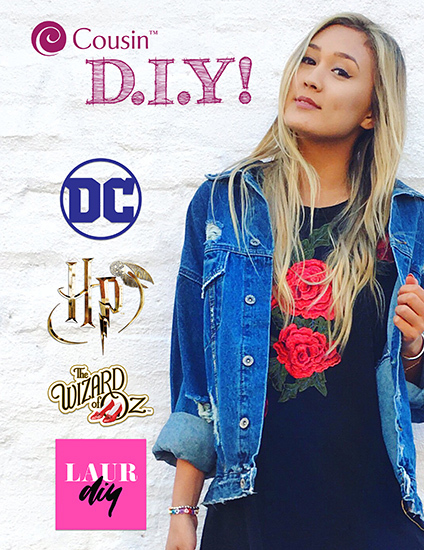 Our current licensing brands include LaurDIY, DC Comics, Harry Potter, The Wizard of Oz and Swarovski. Lifestyle Brand for the Boutique & Gift Market. Laura Janelle is the jewelry, fashion accessory and lifestyle division of Cousin Corporation of America. We push ourselves to the fashion limit to make sure we are bringing you "on trend" products at outstanding value. Jewelry, Handbags, Scarves, Apparel, Gift & Home Décor products can be found in each distinctive "look" for every taste at exceptional quality and value. Our products can be found in thousands of independent boutique, gift and home décor retailers nationwide. Fashion Jewelry Brand for the Boutique and Department Store Market. CosmoStyle by Cosmopolitan is the licensed fashion jewelry division of Cousin Corporation of America developed in collaboration with the editors of Cosmopolitan magazine. Cosmopolitan is a champion of style in every form. Beautiful design is at the heart of every piece, allowing 'Cosmo Girls' of all ages to express themselves through enduring fashion inspired by the Cosmopolitan editors. Cosmopolitan is the world's largest young women's media brand, with more than 130 million brand touch points across print, digital, and social platforms. A bible for fun, fearless females, Cosmo delivers the latest news on love, work and money, fashion and beauty, health, self-improvement, and entertainment through award-winning journalism. Copyright © 2018 All Rights Reserved by Cousin Corporation.